ASBPE honored Builder and the ABA Journal as Magazines of the Year for 2014 and named SHRM Online, a publication of the Society for Human Relations Management, as its Website of the Year. The organization of business-to-business editors chose Pensions & Investments as winner of its award for Best Cross-Platform Package of the Year. ASBPE’s Stephen Barr Award, its top individual feature writing prize, went to David Hechler of Corporate Counsel magazine for his article explaining legal developments surrounding Toyota’s problems with sudden acceleration. The ASBPE honors – in Digital and Print categories covering both editorial and graphic design – were presented as part of its thirty-sixth annual Azbee Awards of Excellence at its National Conference held at the Allegro Hotel in Chicago. This is the fiftieth anniversary year for ASBPE, which represents B2B or “trade publications,” and originally known as the American Society of Business Publication Editors. Builder was honored among magazines with revenue of more than $3 million. 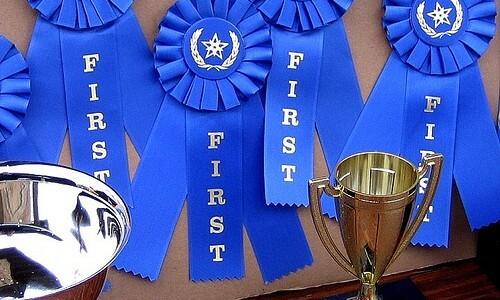 Honorable mentions in that category went to Architect and to IEEE Spectrum, with Automotive News, CIO, Connect, Farm Industry News, Financial Planning, Government Technology, and HR Magazine filling out the Top Ten magazines. In the category for publications with less than $3 million in revenue, honorable-mention recipients were restaurant development + design magazine and Stitches magazine. ASBPE named Emergency Management and Employee Benefit Adviser to fill out the Top Five list in that category. Among individual Print categories, Gold Awards went to Design + Construction for Feature Series; to Corporate Counsel for Impact/Investigative Feature; to Inc. and Civil Engineering for General-Interest Feature; to Computerworld for Case History; to Inc. and Public Power for Company Profile; to Retailing for How-To Article; and to Architect and to Public Power for Individual Profile. Among others winning Golds were Automotive News for News Analysis; SHRM for On-Site Trade Show Coverage; Computerworld and strategy + business for Original Research; Electrical Construction & Maintenance for Technical Article; and EXHIBIT0R for Visual Storytelling. In Online categories, Computerworld.com was a big winner with Golds for Impact/Investigative, Technical Article, Original Web Commentary, Web How-To Article, and Original Web Commentary. Other Gold winners included InvestmentNews.com for Enterprise News Story; WardsAuto.com for Web Feature Article; AutomotiveNews.com for Webcast series and for Web Reference Site; dvm360.com for Best Use of Social Media; REALTOR.com for Online Product Review; strategy-business.com for Best E-book; and TechTarget.com’s Business Information for Best E-zine; TheDeal.com for Best App; and AOArchitect.com for Best E-newsletter. In Design categories, Gold winners included Builder and ProSales for Feature Article Design; The Meeting Professional for Best Overall Typography; dvm360 magazine for Infographics; and IEEE Spectrum for both Web Site Design and for Web Site Landing Page Design. Also acknowledged at the Azbee Awards ceremony were University of Arizona journalism student Nicole Thill, and five winners of ASBPE Young Leaders Scholarships. Thill submitted the winning entry in a college competition writing specialized business articles for business-to-business publications. Her winning article, based on a five-week study-abroad program in Costa Rica, was titled “Coffee Fungus Affects Small Farms,” and focused on how the country’s coffee farmers are dealing with the problem of “leaf rust,” or roya, an condition that has devastated recent crops in Latin America. The Young Leaders were Hallie Busta of Hanley Wood Media, Libby Hoppe of Collinson Media & Events, Larissa Newton of Journal Multimedia, Sam Oches of Journalistic Inc., and Adrienne Wagner of Advanstar Communications.